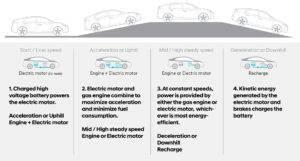 IONIQ is the world’s first vehicle to feature three electrified power-train options, each built on a dedicated platform to optimize performance. It is easy to decide which IONIQ best compliments your lifestyle, it just depends on how often you drive and your driving style. Whichever you choose, every IONIQ is engineered and designed to deliver a rewarding and engaging drive to suit your lifestyle. Driving fun with lower emissions. 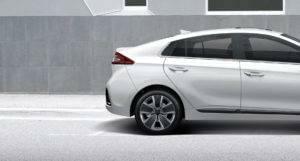 The IONIQ hybrid combines an efficient 1.6L gasoline engine with a powerful 32kW electric motor for impressive performance and fuel efficiency. 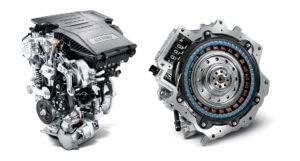 For unmatched responsiveness, it also features the class-exclusive Dual-Clutch Transmission in a hybrid vehicle. 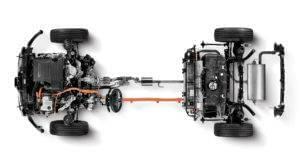 Together, these elements give you the fuel economy you want from a hybrid, with a driving experience that’s more engaging than you thought possible. The 15” or available 17″” Eco alloy wheels with LRRC Silica compound tires have been designed specifically to maximize efficiency. 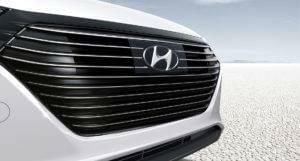 Active grille shutters mean less drag, more drive. Active grille shutters can automatically close part or all of the grille, reducing or stopping the air flow to the engine bay. 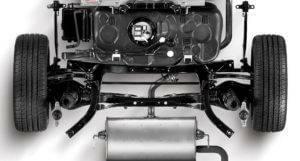 The reduction in air flow reduces drag, making the car slip through the air more easily and reduces the amount of energy needed to push the car along, increasing gas mileage. Heated side mirrors take care of one the most frustrating parts of driving in the winter: having to carefully clear those mirrors of ice and snow for improved visibility, but without moving them out of alignment. 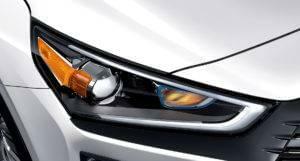 As a bonus, these power adjustable and heated folding side-mirrors are further enhanced with available LED side repeaters for added visibility. The available High Intensity Discharge headlights allow you to always look forward with unwavering confidence, while the Adaptive Cornering System provides illumination in the direction you need it. 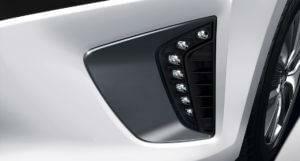 The available LED daytime running lights help mitigate compromised visibility. 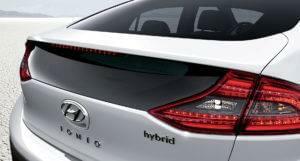 The available LED tail lights are brighter, use less energy and reinforce the design integrity of the IONIQ Hybrid. 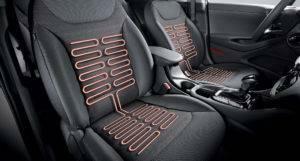 Add a cozy touch to a cold Canadian morning by unwinding in the comfort of standard heated front seats. Enjoy a touch of warmth on cold days with the available leather-wrapped heated steering wheel. 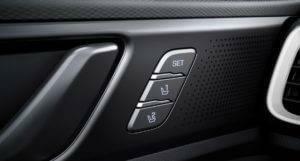 For added comfort, rear passengers can also enjoy the available heated rear seats, making the second row just as gratifying as the first. Thanks to the available Integrated Memory System, your driver’s seat, and outside mirror settings can be conveniently stored and automatically adjusted at the push of a button. 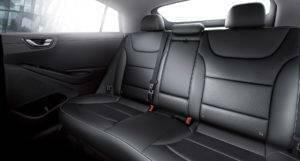 Available Leather Seating which is anything but standard. Everything is better with premium, heated leather. Inside the IONIQ, the available fine leather seats wrap the passenger, exuding quality all around. Wireless Phone Charging for wireless convenience. 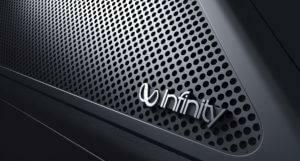 Forget finicky cables. 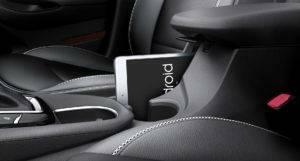 Now, you can always be in charge thanks to the available smartphone-compatible wireless charging pad. This system allows both the driver and front passenger to customize their own climate settings for optimal comfort. Not only that, it will control the airflow and remember them too. 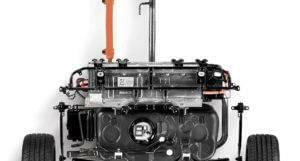 Get in and go with Proximity keyless entry with push-button ignition. 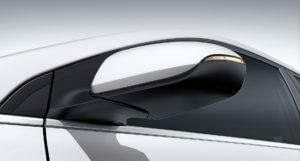 Forget fumbling with the key; enjoy one that enables your car to recognize you. Approach your IONIQ with the available Proximity Key in your pocket to lock or unlock your car and easily start the engine with the push of a button. Off you go. 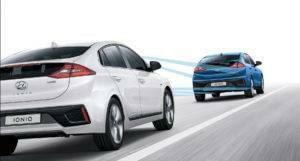 The IONIQ has a segment leading fuel economy of 4.1L/100km combined. 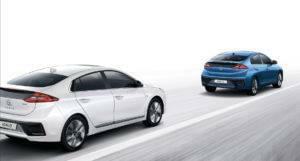 The IONIQ Hybrid’s electric motor delivers 32 kW (43 hp) with maximum torque of 195 lb-ft, powered by a lithium-ion-polymer battery with 1.56 kWh capacity positioned under the rear seats. 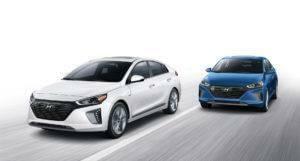 The IONIQ Hybrid features a six-speed EcoShift® dual-clutch transmission (DCT), which is able to achieve a unique mix of driving performance and fuel efficiency. 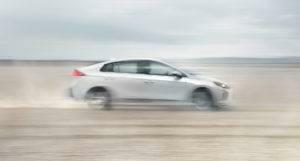 IONIQ Hybrid also features regenerative braking to maximize driver engagement and enhance efficiency. 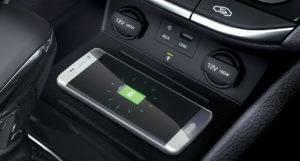 The available ECO-DAS (Eco-Driving Assistant System) set-up makes best use of several unique technologies in order to make the IONIQ as efficient as possible. ECO-DAS uses topographical information to predict hills and valleys, as well as when to charge the battery based on elevation changes along your route. Everybody has a different take on steering feel. Some want more steering effort, others less. 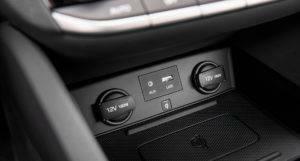 The IONIQ’s standard Drive Mode Select feature allows you to adjust both throttle response and steering effort to match your preferred driving style. 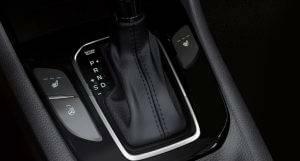 Just select one of two modes: Eco or Sport, and engage sport mode by pulling the gear selector towards you. 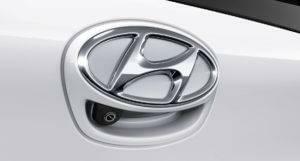 Hyundai IONIQ Hybrid’s 32 kW motor is powered exclusively using energy stored in the vehicle’s 1.56 kWh Lithium-ion Polymer battery pack. You may be wondering: What happens to the batteries when the vehicle is turned-in after a long, eco-friendly life driving on Canadian roads? Hyundai has thought of that, too. Working with our supplier network, the batteries are removed, disassembled, and broken-down into individual components that are recycled to create raw materials for new products. It’s yet another example of Hyundai’s commitment to reducing the impact its products have on the environment. 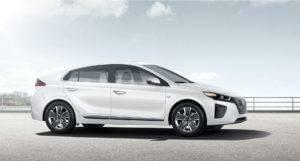 IONIQ’s light-yet-rigid body is the result of advanced design, construction methods and materials. 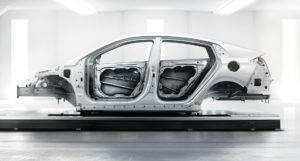 The chassis is made of 51 percent Advanced High Strength Steel and it benefits from superior rigidity for responsive handling and safety, with high impact-energy absorption and minimized cabin distortion to protect passengers in the event of a collision. The available AEB uses a forward camera and radar sensors to detect rapidly closing speeds to the vehicle ahead or pedestrians in your path. If the driver does not react to avoid the impact, the system can provide full braking assistance at speeds under 80 kilometres per hour (vehicle detection) or 64 kilometres per hour (pedestrian detection). The available Blind Spot Detection uses radar to detect a vehicle in the driver’s blind spot and will provide both audible and visual alerts. The Rear-Cross Traffic Alert system helps warn the driver of vehicles approaching from the side, even before they come into view of the available rear-view camera. 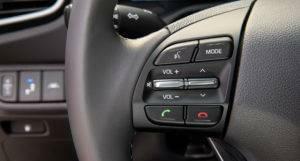 Lastly, Lane Change Assist uses the same radar technology to help guide a driver through lane changing. 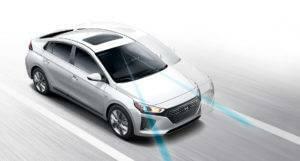 Drift out of your lane without signalling and IONIQ will provide visual and audible warnings through the available Lane Departure Warning System. The available Adaptive Cruise Control system automatically and continuously adjusts your pre-set driving speed to maintain a pre-determined distance from the vehicle ahead. Now you can look forward to reversing thanks to the available rear parking assist sensors which provide audible feedback, allowing drivers to identify any obstacles behind the vehicle. 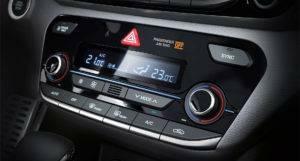 The standard 7-inch multimedia screen with rearview camera gives dynamic guidelines for parking and backing up. 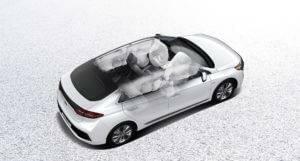 Although airbags are a feature you never hope to see, it’s comforting knowing all 7 of them are there. 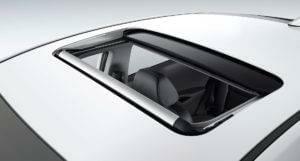 The IONIQ is equipped with front, front side-impact and side-curtain airbags to help protect you and your passengers if the unavoidable occurs. 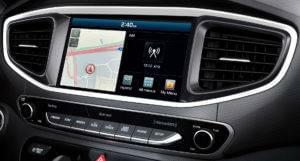 The available 8.0″ touch-screen navigation system not only helps guide you from point A to point B, but can also be used to search for gas stations, ATMs or restaurants. Stay connected with the entertainment you love and the connections you need. IONIQ’s standard Android Auto and Apple Car Play lets you interact with your maps, texts, music and more using voice commands while your eyes remain on the road – where they belong. The IONIQ offers convenience with the Bluetooth hands-free phone system. It uses voice recognition to allow you to easily communicate with your friends without ever reaching for your phone. The six or eight-speaker audio system gives you full control of your iPod® via the USB port, allowing you to use the standard cable supplied with your iPod® and take your tunes with you.